The most romantic piano in the world. 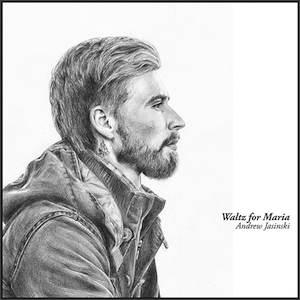 ‘Waltz for Maria’ is the third album from Andrew Jasinski, the young Russian composer and multi-instrumentalist who plays a range of instruments including piano, guitar, harp or drums, as well as many countries native instruments; flute, darbuka, bouzouki, bagpipes. It's been four years since his second album, and first worldwide released debut album, ‘Sea', featuring many of those instruments. After releasing the first EP 'Embracing the Universe’ in 2017, created with the Rav Vast drum and overtone handpan, that is a steel tongue drum and hang drum made in Russia, Andrew picked only one instrument, the piano, for this third album. His third album ‘Waltz for Maria’ is a masterpiece which has fine melodies overflowing with subtle beauty which often has melancholic tones, such as the title tune 'Waltz for Maria’, 'In my Heart' and 'Together'. It seems as though this album is continuing on from the romantic piano tunes from his second album 'Sea'. As with the previous releases, Takahiro Kido of Anoice took charge of the mixing and mastering engineer duties. This winter, you will be warmed from inside by Andrew Jasinski's lovely piano.